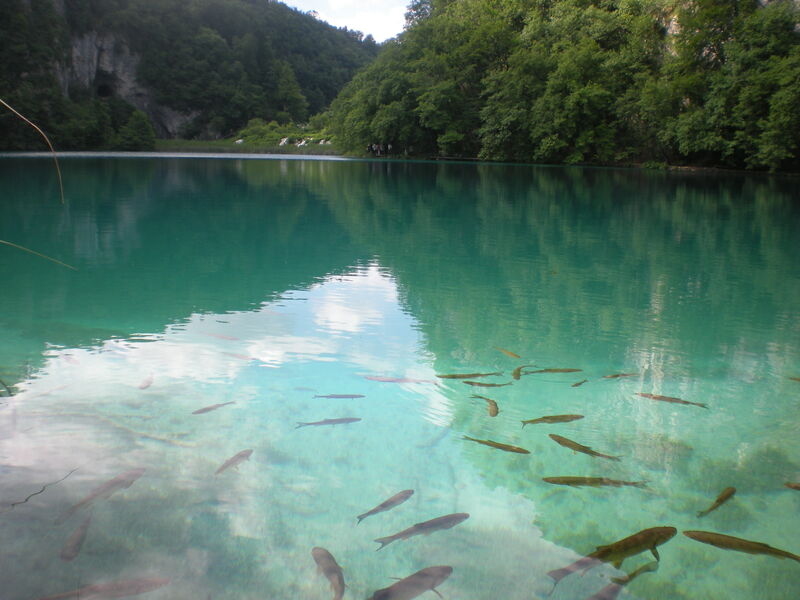 Our weekend in Plitvice Lakes National Park was absolutely lovely. Actually we felt a little melancholy to be back in the urban jungle last night. I have about 300 pictures to sort through and notes to review before posting a day-by-day, but I thought I would put up one picture for good measure. These little trout were everywhere in the shallows (& I’m assuming this pic may inspire my fly-fishing brother). I hope Brian has seen this post. It seems like you could just pick them out of the water.